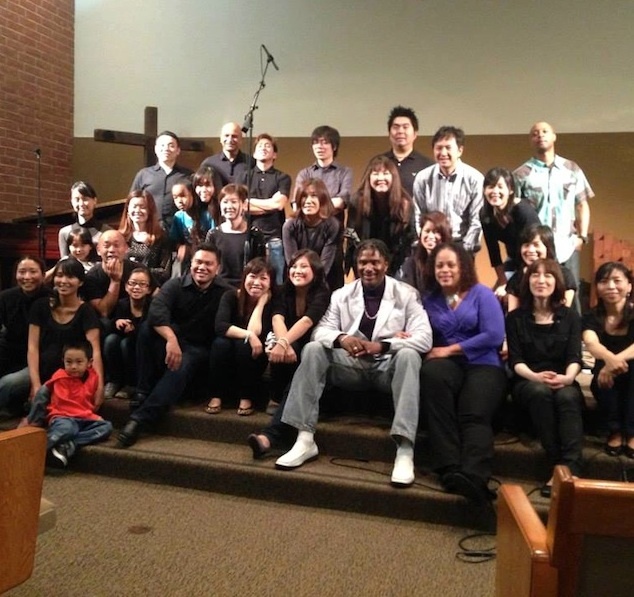 It has been over 15 years that Black Gospel music was introduced to Japan. At first it seemed, like most new things, that it would start with a big bang and then fizzle out. But not this time. God has been using this genre of music to share the story of Jesus and the hope that He offers to thousands of people in Japan for the past 15 years and it is growing more and more each year. Young and old alike join these choirs each year looking for joy and find that Jesus is the source of true joy and true life. Missionaries Ken and Bola Taylor have been the main developers of this movement and lead a ministry called Hallelujah Gospel Family that now has a network of about 60 choirs gathering each week through out Japan. They partner with churches and other missionaries who help provide expertise and outreach to the members of these choirs. Ray Sidney from Long Beach California, a well known black gospel singer and regular at the House of Blues Sunday Gospel Brunch has been a part of this movement for the past nine years and spends about four months each year in Japan sharing Jesus through Gospel workshops and concerts. 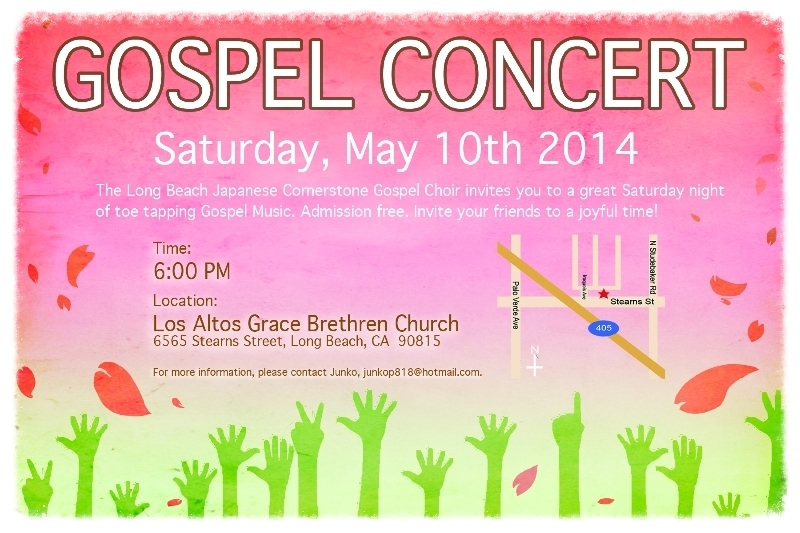 They have been using this tool as well in Long Beach to reach Japanese workers, families and students since 2006, and have seen many become Christians and return to join and connect with churches and one of the gospel choirs in Japan. 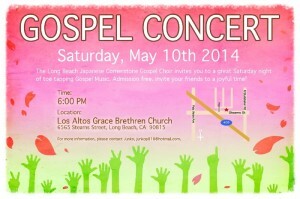 Join Los Altos Grace Brethren Church community for the concert on May 10 at 6:00 p.m. Click on the image below to view details for the event. This article first appeared in a newsletter sent out by Cecil O’Dell of Encompass World Partners and invitation to partner in the ministry of introducing Japanese Returnees to Jesus. See the original article here. Also, check out this compelling video about the ministry: Victory in Jesus: Spreading the Gospel In Japan through Music.